After ongoing debates over the past several weeks, Congress was unable to come to an agreement on a Continuing Resolution (CR) that would temporarily continue funding for federal agencies and programs. As a result, the federal government shut down for the first time in 17 years on Tuesday, October 1. 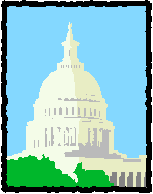 Prior to the shutdown, the House and Senate had been trading competing versions of a CR, with the most contentious issue being House Republican provisions to the bill that would defund or delay the Affordable Care Act, or â€œObamacare.â€ A comprehensive timeline for these events can be found here.Â Â The President and Senate Democrats have been adamant that they will only accept a â€œcleanâ€ CR which would fund the federal government through November 15th. House Republicans have suggested funding only certain parts of the government, such as the National Parks Service and the Department of Veterans Affairs, as a way to lessen the impact of the federal government shutdown. Recently, House Republicans have also included proposals to fund a few educational programs such as Head Start, Impact Aid, and the Bureau of Indian Education. However, all of these proposals would lock in sequester cuts through December 15. A White House spokesperson stated that, â€œThese piecemeal efforts are not serious, and they are no way to run a government . . . and if these bills were to come to the President’s desk, he would veto them.â€ Meanwhile, the effects of the government shutdown continue with over 800,000 federal workers furloughed and many essential government services have halted. In addition to the federal government shutdown, the nation is expected to default on its obligations, or hit its debt limit, no later than October 17.Â The debt limit is the legislative restriction on the amount of money the Treasury Department can borrow to pay for existing legal obligations such as social security payments, military salaries, and interest on the national debt. The Treasury Department has made clear that failing to address the debt limit by the October deadline would have â€œcatastrophic economic consequences.â€ Yesterday the Department issued a report titled â€œThe Potential Macroeconomic Effect of Debt Limit Brinksmanshipâ€ outlining in greater detail the calamitous effects of Congress failing to pass legislation to increase the statutory debt limit. The report has put increased pressure on Congress to find a compromise to the current political impasse to avoid potentially damaging economic consequences. House Speaker John Boehner (R-OH) has recently voiced interest in crafting a larger budget deal that addresses both the CR and the debt limit. It is not clear what such a deal would look like or if a compromise on items such as tax reform and further deficit reductionâ€” priorities House Republicans have already insisted should be part of such a dealâ€” would be a feasible solution for Senate Democrats and the Obama Administration. Check NASDCTEcâ€™s blog for frequent updates on these rapidly changing issues. On Wednesday, the Committee for Education Funding (CEF) held its annual legislative conference and gala. Senator Jack Reed (D-RI) emphasized a few guiding principles for budget negotiations. In particular, Senator Reed found it troubling that government revenues were being produced from student loans, something he felt should be stopped. Following his remarks, Representative Steny Hoyer (D-MD) discussed Congressâ€™ inability to pass a budget and denounced the sequestration provisions from the Budget Control Act of 2011 as â€œstupidâ€â€” a phrase he used often when describing how these automated cuts were adversely affecting important federal investments in education and workforce development. Interestingly, Representative Hoyer recommended that CEF be rebranded to the Committee for Education Investment to better reflect CEFâ€™s commitment to education as an investment for the nation. Representative Hoyer also highlighted the need for a national manufacturing strategy and comprehensive immigration reform to keep the United States globally competitive. Ellen Nissenbaum of the Center on Budget and Policy Priorities pointed out that the current level of non-defense discretionary (NDD) spending is the lowest it has been in 40 years. When asked how she would explain sequestration to someone succinctly she said, â€œSequestration is an abdication of Congressional responsibility.â€ Like Representative Hoyer, Nissenbaum pointed out that sequestration does not prioritize pieces of the federal budget and instead Congress chose to arbitrarily cut spending without giving thought to long-term consequences. At its gala event, CEF honored Senator Tom Harkin (D-IA) for his dedication to educational issues and work over his long career in the Senate. Representatives George Miller (D-CA) and Rosa DeLauro (D-CT) both spoke glowingly of Sen. Harkin and how he has helped shape public policy during his career. This entry was posted on Friday, October 4th, 2013 at 10:25 am	and is filed under Legislation, News, Public Policy. You can follow any responses to this entry through the RSS 2.0 feed. Both comments and pings are currently closed.